PC not recognizing AC adapter although it is working well. "The AC adapter wattage and type cannot be determined. The battery may not charge. The system will adjust the performance to match the power available. Please connect a Dell 65W AC adapter or greater for the best system performance." So, other than this annoying error message, everything seems to be working fine. Should I just ignore it ? If not, what else do you recommend I do ? Re: PC not recognizing AC adapter although it is working well. Since you're conforming the battery is charging fine and Adapter light always stays on,try going to BIOS (Tap F2 at start up),check under the Main screen if AC adapter is getting detected normally(if it shows 65 watt adapter). If it shows 65 watt and if you want to get rid of that error message on start up,in BIOS go to Advanced tab,find Adapter warning and disable it. Note nce you disable this setting for adapter warning,in future if there is a real problem with the adapter,system will not warn you about any such problem. I have the same issue as Isavinon, but it doesn't appear to be charging. My laptop is a Dell Studio 1535. I have never had an issue with charging or the adaptor before. This happened when I turned on the laptop for the first time after not using it for 3 weeks..? Any tips would be greatly appreciated. Please share the exact error message that you are getting from the system. Please check if the charging port on the laptop is loose. Connect an alternate ac adapter to see if that works fine with the system. Restart the system and keep tapping 'F2' as soon as the Dell logo appears. Under 'System', go to 'Device Info'. Check the status of AC Adapter. Note: Use arrow keys to navigate in BIOS. 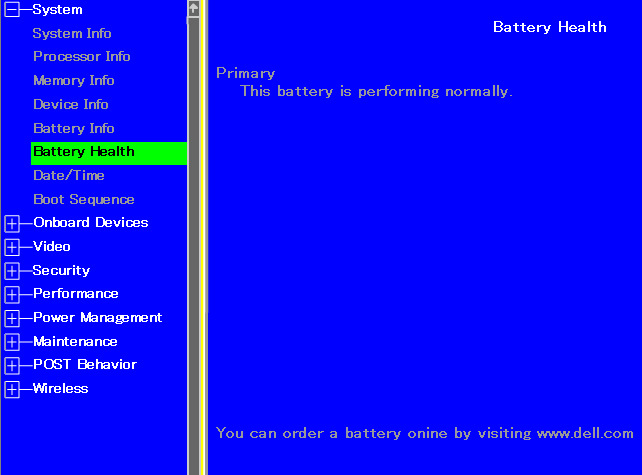 Go to 'System' and go to 'Battery Info' and also check 'Battery Health'. Note: The ac adapter should be connected and the battery should be at least 10% charged. Please disconnect all the external devices connected to the system before updating the BIOS. Please save all the unsaved data as your system will restart automatically while updating the BIOS. Select "Single-file Download" and click on "Continue". Click on "Run" and follow the on screen instructions. I have the same problem where it says the Dell 65W AC Power Adapter cannot be determined even though my adapter is a Del 65W Power Adapter and the little green light is on and on the battery icon it says plugged in not charging. The battery health said normal but that the long-term life was decreasing. I have an Inspiron 1420. When I went to BIOS it said the ac adapter type was unrecognized device installed. I tried to update the BIOS on the link but it said "Running on an unsupported system!" and only gave me the option to cancel. Try a new Dell OEM adapter. If that doesn't solve the problem, the power jack or mainboard needs to be replaced. Thank you so much for your reply. I have been facing the same problem, I received a 65 W adapter for my Inspiron 5421 and every time I plug the adapter it gives me the warning. 2. Incase 65 W adapters are given away, does this reduce the battery life (funny if you would say yes, because I just bought this laptop 2 weeks back). So is it suggested that I invest again and buy may be a 90 W AC adapter ? System model Inspiron 5421 is offered with 65 watt and 90 watt AC adapter.If you're system came with 65 watt adapter you need not switch to 90 watt adapter.65 watt adapter will work on your system and it does not reduce the battery life. Did you check in BIOS (tap F2 on start up,Dell logo),if the AC adapter is getting recognized normally(as 65 watt) or does it show "Unknown"? 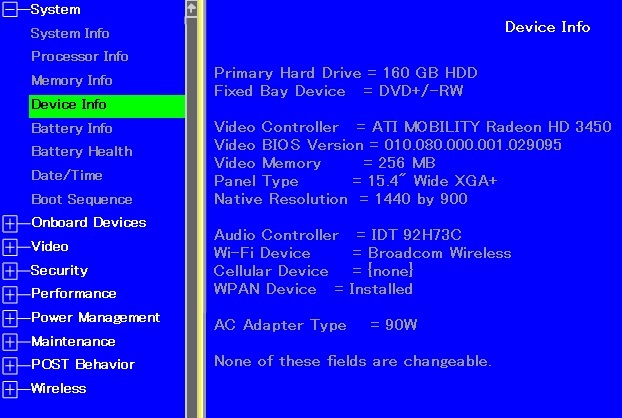 Also on the BIOS screen check and post back the BIOS version. I am having the same issue but with an Inspiron N7110. When I go to Bios - the AC adapter is unknown. How do I fix this?